At this weeks planning committee meeting Councillors will discuss a proposed new 2 form entry primary school with associated playing space. The proposed school would be for 446 children, 26 nursery places and 60 per year group (2 classes). A breakfast and after school club is also planned and the planned opening will be the summer of 2019. The school will initially fill the nursery and reception classes with students increasing year by year as they progress through the school. With development increasing in the area from Worton Grange and Royal Elm Park, as well as Green Park Village, the Council is being proactive in providing sufficient school places and keeping school places as local as possible. 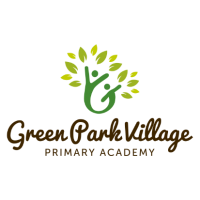 The school will be located at the corner of Longwater Avenue on what will be one of the main entrance routes to Green Park Village. The school will be two storeys consisting of three main accommodation blocks. The site will include a main hall and changing rooms, as well as a multi use games area and all weather playing pitch. It is considered that the main use of the school hall outside of lessons would be for the use of residents of Green Park for village events and meetings. This entry was posted in Education on June 24, 2018 by Ashley Pearce.